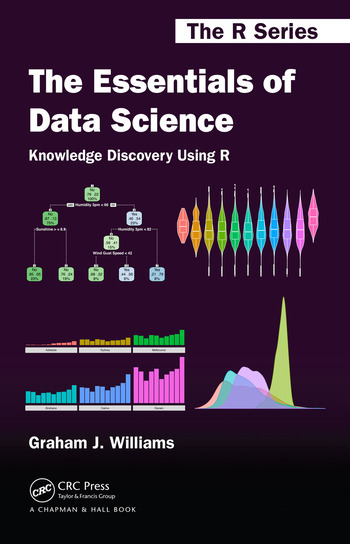 The Essentials of Data Science: Knowledge Discovery Using R presents the concepts of data science through a hands-on approach using free and open source software. It systematically drives an accessible journey through data analysis and machine learning to discover and share knowledge from data. Building on over thirty years’ experience in teaching and practising data science, the author encourages a programming-by-example approach to ensure students and practitioners attune to the practise of data science while building their data skills. Proven frameworks are provided as reusable templates. Real world case studies then provide insight for the data scientist to swiftly adapt the templates to new tasks and datasets. The book begins by introducing data science. It then reviews R’s capabilities for analysing data by writing computer programs. These programs are developed and explained step by step. From analysing and visualising data, the framework moves on to tried and tested machine learning techniques for predictive modelling and knowledge discovery. Literate programming and a consistent style are a focus throughout the book.